BioMax True Protein (87%) (whey protein concentrate (milk), milk protein concentrate) , fructooligosaccharide, flavourings , Lcarnitine Ltartrate, maltodextrin , colour ( beetroot red ), green tea extract , thickener ( cellulose gum ), caffeine anhydrous , sweeteners ( sucralose , acesulfame K ), vitamin mix ( niacin , pantothenic acid , riboflavin , vitamin B6, thiamin, vitamin B12 ). Food supplements should not be used as a substitute for a varied and balanced diet and a healthy lifestyle. Do not exceed the recommended daily intake. Keep out of reach of children. High caffeine content. Not recommended for children or pregnant or breast-feeding women (32 mg per 100ml). It is recommended not to exceed a daily intake of 400mg of caffeine from all sources. 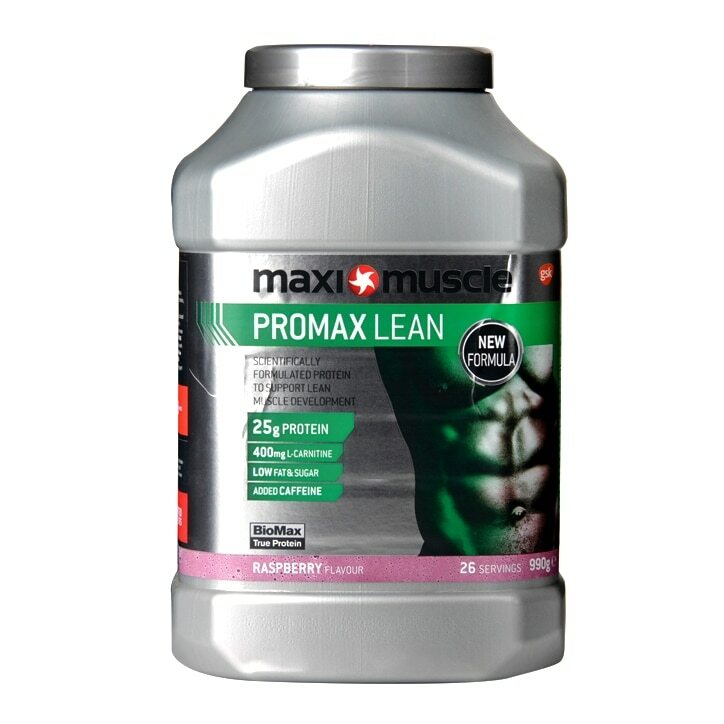 MaxiMuscle Promax Lean Powder Raspberry is rated 5.0 out of 5 by 1.